The Manila is the capital of the Philippines. It is one of the oldest cities and is situated on the eastern shore of Manila Bay, one of the finest harbors in the country. The city was the seat of power for most of the colonial rulers and is one of the most populous cities in the world. 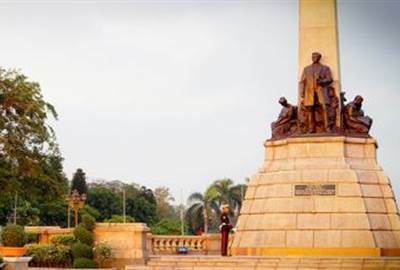 One must not forget to visit the most famous park in the country – Rizal Park or simply, Luneta. This park was named after one of the Philippines' national heroes, Dr. Jose Rizal. 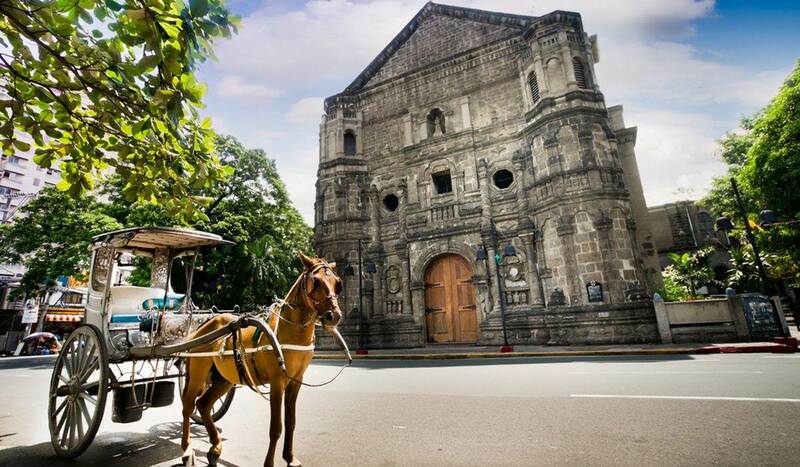 Another historical site that should be on the list is Intramuros or the Walled City. These walls were built to protect the city from foreign invasions during the Spanish era. Divisoria is a commercial center in Manila which expands an area of above 0.5 square kilometers and is known to be a place for low-priced goods. A lot of products from fashion to houseware, hardware, school supplies, party needs, perishable goods and more can be bought at low prices along the streets and inside the malls. For electronic and communication needs, Raon St in Quiapo Manila is the best place to go, they sell almost everything from appliances, lighting, sound systems to electronics. Around Manila are hotels, malls and restaurants offering various dishes especially Filipino and Chinese cuisine. There is plenty of local street food to enjoy along the streets of Manila and rolling stores selling short orders of hot noodles and soups. 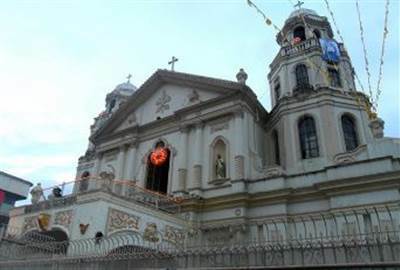 Festivals in Metro Manila include the Feast of the Black Nazarene, which is held every January in Quiapo district, and it is the biggest religious festival in the city. 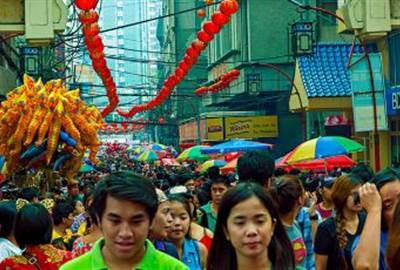 Chinese New Year in Binondo, the world's oldest Chinatown; is now becoming a popular tourist attraction. This is where the grandest Chinese New Year celebration in the country happens every year. Local and international tourists must not forget to witness the world famous sunset in Manila Bay. It's really a relaxing and romantic view when the sun starts to kiss the sea. This urban park is the largest of its kind in Asia. Rizal monument was built here where the remains of the National Hero lies. Kilometer zero or the distance reference marker of the country can also be found inside the park. 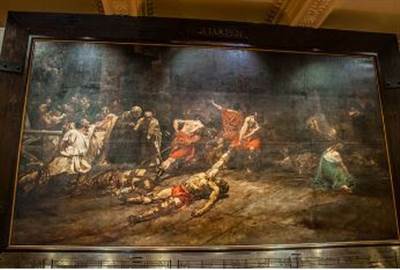 This Renaissance-inspired building preserves the national collections of the Philippines which includes the Manunggul Jar which was made before Christ was born; one of the world's most famous and most precious paintings, The Spoliarium by Juan Luna; the anchor from the Galleon San Diego which sank in 1600; the Balangay boat which is dated 1250 A.D. 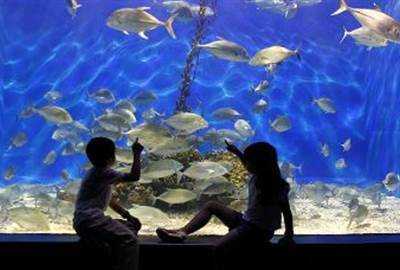 It is the first world-class marine theme park in the country. See the wonders of marine biodiversity in one place. Interacting with sharks, stingrays and starfishes; enjoying a walkthrough with 14000 marine creatures, watching jellyfish dance and enjoying a relaxing spa with the fishes are just some of the activities to enjoy inside the park. This is a great place for Chinese discoveries. This is a place where you can find an array of Chinese food and restaurants, herbal stores, delicacies, groceries and Chinese temples. You may also enjoy fresh seafood and exotic food in the wet market of Arranque. 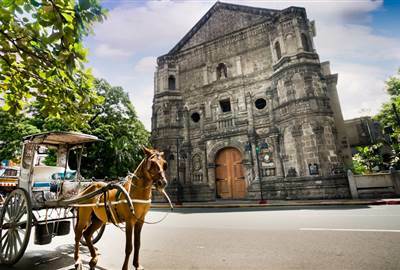 It is a prominent Roman Catholic basilica and famous home of the Black Nazarene which many claim to be miraculous. It was first constructed in 1574 but was destroyed around 5 times due to war and earthquakes. It was only in 1984 when the church finished reconstruction. 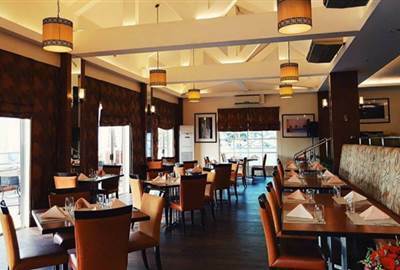 It is a casual dining restaurant and bar, best known for their great-tasting bagnet; located at The Bayleaf Hotel Intramuros, Manila. 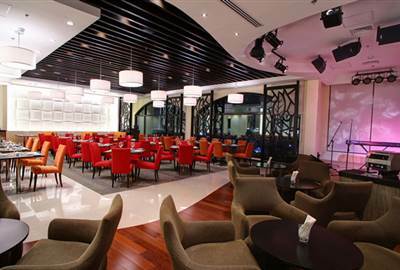 It offers a relaxing ambiance with a great view of the metro. It is a casual dining place located in San Nicolas, Manila. 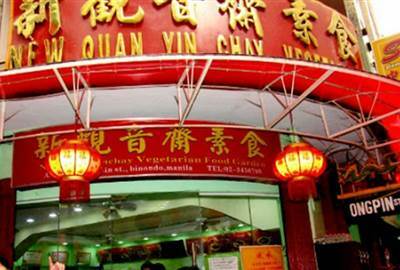 This is one of the best Chinese restos in the metro serving authentic Chinese dishes. 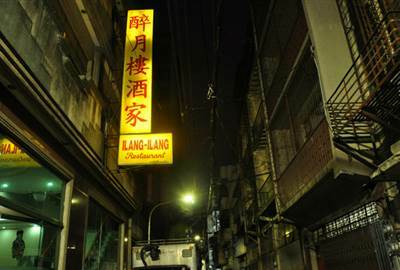 They are famous for their best-selling fried rice. 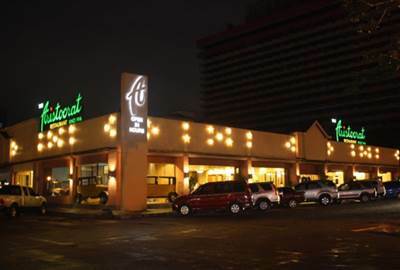 It is a fine dining restaurant that can be found in Malate, Manila. They are serving original Filipino recipes for over 75 years. Kare-kare and chicken barbecue are among their most famous dishes. This is one of the best French restaurants in Manila which serves scrumptious soups, salads and sandwiches. 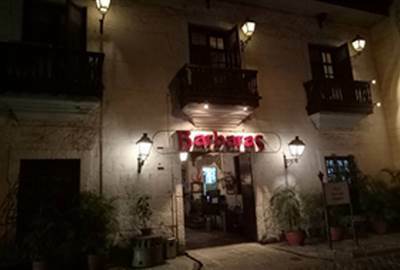 This restaurant located in Intramuros serves Filipino and Spanish dishes. Beef Caldereta is one of their best-sellers. They also offer a buffet and private dining area. This is a classic Tsinoy (Chinese-Filipino) cafeteria located in Binondo. They are known for their tasty vegetarian food. 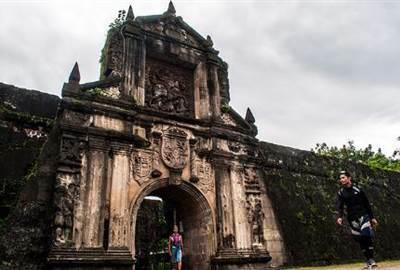 Another popular historical site is Intramuros (within the walls) or the Walled City. 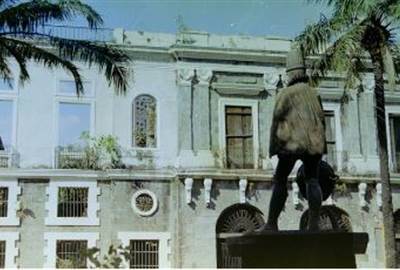 The place was the seat of the government during the Spanish colonialism. 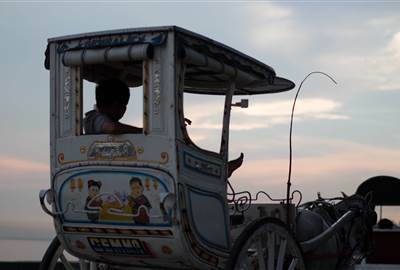 Man-made and natural disasters have challenged the walls, but it continues to show strength throughout the decades.